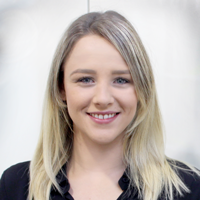 Ashleigh joined the Australian Water Partnership as an Administration Officer in late 2016 and has since progressed to the role of Program Officer (now Acting Senior Program Officer). Ashleigh holds a double bachelor degree in Science, majoring in Psychology and Biology at the Australian National University. Her previous experience in corporate services and executive and administrative support roles are integral to effective communication with AWP Partners and facilitation of AWP’s programs and activities.